Back in the hazy days that I loosely refer to as high school, I distinctly remember a situation that went a long way toward changing the way that I thought about myself and the people around me. I was in the midst of grade 13 (the last year of high school in Ontario then), a wonderful time of being too old for childish things and being absolutely too stupid to be considered an adult. I was active in my school as student council president. I played on the football team, was involved in anything that even smelled like acting, was working far too many hours at my part time job and was looking forward to being out of high school. I can honestly say that I did not care about any of it. Most of my teachers and I had come to an agreement: they would not try to teach me too much, and I would not disrupt their classes or force them into retirement. This generally worked out for both sides. I had very little actual work to do, and the teachers generally maintained their sanity. One teacher had not read the memo. Dr. Marathe was a smallish Indian man with a thick accent and, in my opinion at the time and afterward, far too many brains to be teaching physics to me or anyone like me. Dr. Marathe kept demanding that I learn despite my repeated attempts to disrupt his classes. There was something about this man that made me feel almost regretful when I turned my attention to disruption. He seemed to care, and not just about his job or the curriculum; he seemed to care about me. This was strangely off-putting. One day we were addressing the riveting combination of gravity and centripetal acceleration. In a nutshell, the lesson went something along these lines. Gravity is that force which draws all matter with mass together — the more mass, the more the gravity, the greater the force of attraction to that object. Centripetal acceleration is the change in speed that happens relative to a fixed object when another object is moving around it in a circular motion. This didn’t really matter to me then — and doesn’t really matter now. On cue, my classmates degenerated into snickers that progressed to full blown laughter. I managed to keep a straight face as the class ended and I walked away satisfied. A good day, very little learned. I smiled and had turned to walk away when he added, “Mr. Stares, don’t be a hooded horse.” He looked into my eyes and then walked back into his office. We never spoke about it again, but I never forgot it. At first I mused about how quaint he had been to speak to me like that and how easy it had been to get away with the goofiness — but eventually his words started to bother me. What did he mean? What was he saying? I started to do some talking to people who knew about horses and discovered that a horse will not walk into a dangerous situation if it can see what is going on. 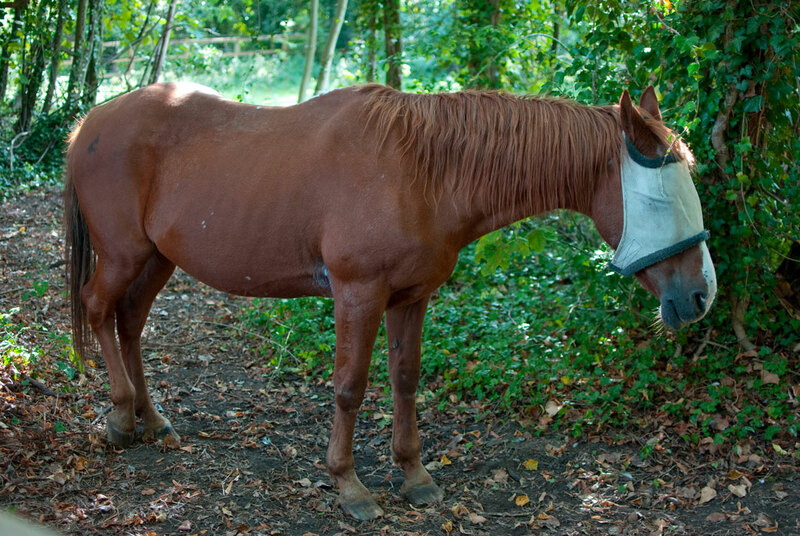 If a horse must be taken through danger, putting a hood over its eyes will overcome its strong drive for self preservation. I started to realize that I was the hooded horse and that I had put the hood on myself. Eventually I became doubly annoyed — first because he had summed me up in so few words, and second because he had taught me perhaps the most important lesson I had learned in five years of high school. It took me several more years and the working of the Holy Spirit to realize how thick the hood had become and how firmly I had pulled it over my head — but I did. At my ten year reunion, I spent several minutes apologizing to Dr. Marathe for being a hooded horse and thanking him for pointing it out to me. He smiled in his way and graciously accepted my words as if he had always expected them. Today I am a teacher. Every once in a while, a student will start sounding like I used to sound. I think that these students are a bit surprised when I head them off in their quest to disrupt and draw attention away from the lesson. Many don’t realize that I have already been where they are and know that it is not a good place to be. It is then that I tell a story about a teacher who cared enough about me to tell me the truth. In thankfulness to Dr. Marathe, I will gladly be a teacher who spends his days pulling hoods off horses. D. Allan Stares is a secondary school teacher at Heritage Christian School in Jordan, Ontario. This article was first published May 27, 2009 in Christian Renewal.